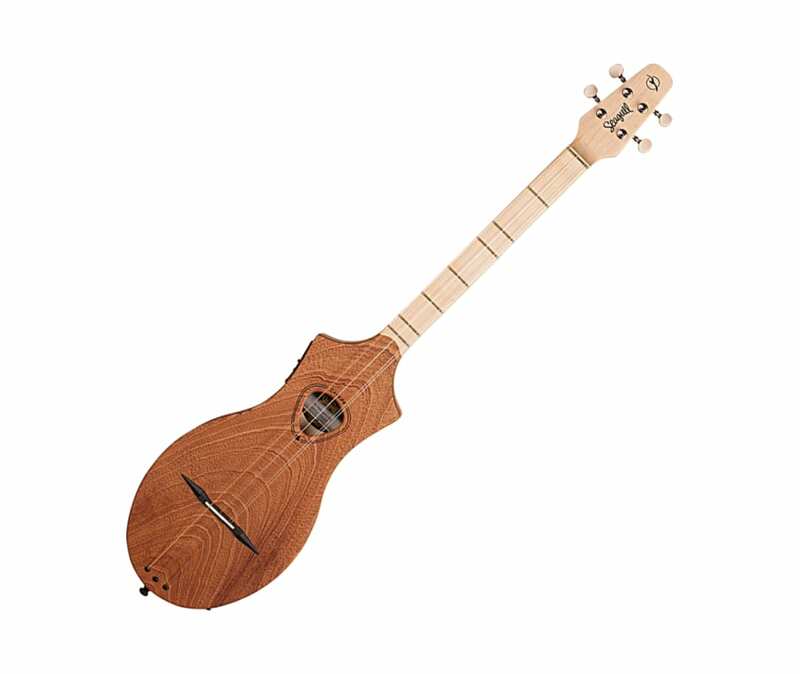 The Seagull M4 Mahogany EQ Merlin SG is new and based around a dulcimer. It is compact making it a great acoustic travel instrument and fun to play. This version includes electronics for plugging it in. The Seagull M4 Mahogany EQ Merlin has been finely crafted in LaPatrie, Canada. Godin Guitars, who create all the Seagull line of instruments, are know for producing real quality. They are the largest manufacturer of guitars in Canada. Godin also have a name for creating cutting edge, innovative designs. This dulcimer inspired acoustic instrument is one of those great inventions. A solid mahogany top gives it a rich, warm tone. The body and neck have been constructed using hard rock maple. The overall finish is satin oil. This protects the wood from the elements. It also features a string through body design. This makes it easy to re-string the Seagull Merlin. This version of the M4 includes B-Band electronics with a tuner. B-Band electronics with a tuner.